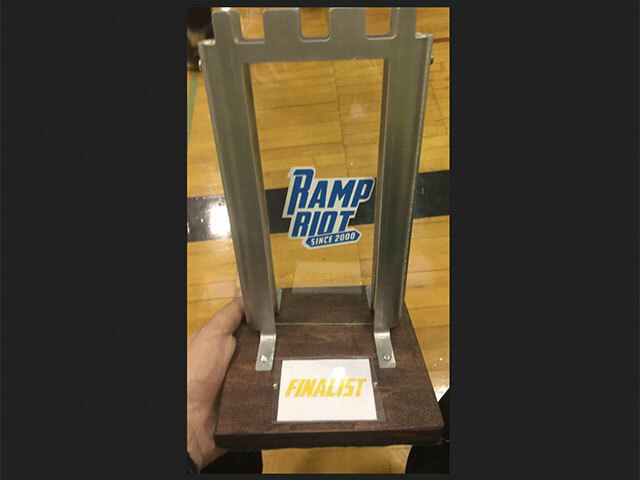 Team 5420 “Velocity” won an award at the 2016 Ramp Riot games. The Ramp Riot competition brought together 36 teams from eight states. A high school gymnasium in Ambler, PA, housed the competition. Besides face painting and a live local radio station, the fun event included a visit from the Philly Phanatic. Additionally, click here to see pictures from the event and to learn more about it. Team 341 hosted this off-season event. Besides Ramp Riot being a challenging competition, new members or potential members have a great opportunity for an introduction to FIRST. Dean Kamen founded FIRST (For Inspiration and Recognition of Science and Technology) in 1989 to inspire young people’s interest and participation in science and technology. Read the vision and mission of FIRST here.